Over 600 youth wrestlers competed at the 2015 MYWAY Western Regional held at Lowell High School on March 13 and 14, 2015. Cedar Springs Youth Wrestling Club sent 33 wrestlers to compete for the top four spots in each age group and weight class in hopes of advancing to the MYWAY State finals which will be held this weekend. Of those who competed, 17 of them placed in the top 6 and 13 qualified for state finals. 2015 Western regional champions were Veronica Tapia at 40lb in the 5/6 age group, Tyler Parmeter at 58lb in the 5/6 age group, Gage Gardner at 155lb and the 13/14 age group, and Ryan Ringler at 170lb in the 13/14 age group. Runners-up were Pistachio Gonzales at 58lb in the 7/8 age group , Trevor Marsman at 70lb in the 11/12 age group, Wayne White at 143 pounds in the 00/99 High School Division, and George Gonzales Jr at 174lb in the 00/99 High School Division. Third place finishers were Keaton Klaasen at 52lb in the 7/8 age group, Kayden Scott at 133lb in the 11/12 age group, Fredrick White at 80lb in the 13/14 age group, and Michael Smith at 163lb in the 96/98 High School Division. Fourth place finisher was Austin Emmorey at 100lb in the 13/14 age group. Fifth place finisher was Aaron Smith at 130lb in the 13/14 age group. Sixth place finishers were Jonathan Libera at 52lb in the 5/6 age group, Juan Angel Acosta at 97lb in the 7/8 age group and Tacho Gonzales at 71lb in the 9/10 age group. Cedar Springs Youth Wrestling Club will also be sending 9 female wrestlers to compete in the 2015 MYWAY Girls State Championship. Representing Cedar Springs in the Girls Division are Veronica Tapia, Analize Tapia, Cora Gonzales, Zoe Gonzales, Reese Gonzales, Allexis Gonzales, Madisyn Birtley, Rosie Castro, and Brooklyn Wright. Cedar Springs is a co-ed wrestling club, but they have the most registered female wrestlers in all of West Michigan. As the interest in wrestling for girls has grown, it has become apparent that head coach George Gonzales Sr. has something special to offer for girls wrestling, as many girls choose to attend his wrestling club. Cedar Springs Red Hawk wrestlers will be competing at the Kellogg Arena in Battle Creek on Friday, Saturday and Sunday March 27, 28 and 29 for their chance at the state championship title. If you would like to come check out any of your favorite Red Hawk wrestlers, please look up the state finals schedule on Cedar Springs Youth Wrestling Facebook page or at mywaywrestling.com. 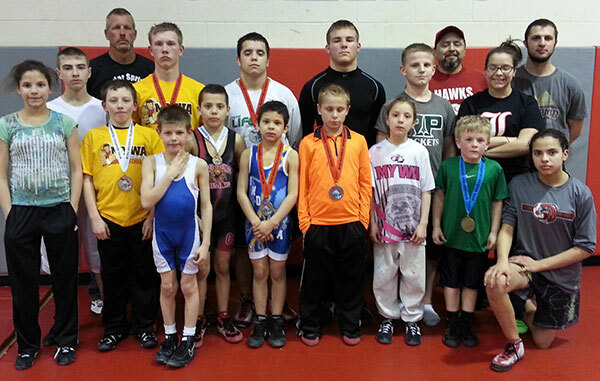 Thank you for supporting your wrestlers from the Cedar Springs Youth Wrestling Club. The melting snow may be a welcome change from winter’s chill, but the Department of Natural Resources reminds residents that pleasant weather also brings the threat of wildfires. “Fire season gets going when dead grass and leaves become exposed after warm temperatures melt snow from easily ignited fields and forests,” explained Dan Laux, DNR fire prevention specialist. He added that several factors contribute to the increased wildfire risk in the spring. The unsafe burning of leaves, brush and other debris is a main cause of wildfires in Michigan. 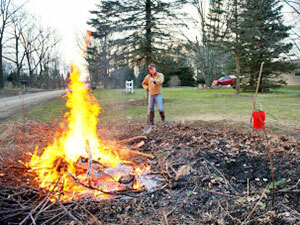 A person is required to get a burn permit prior to burning brush and debris in Michigan. Residents in southern Michigan should contact their local fire department or township office to see if burning is permitted in their area. Residents in the northern Lower Peninsula and Upper Peninsula can obtain a free burn permit by visiting www.michigan.gov/burnpermit or by calling 866-922-2876. Choose a day that is cool and damp with little wind. Burn in small mounds placed in areas that are clear of vegetation. Supervise fires at all times. Always extinguish flames, coals and embers properly. So far this year the DNR has responded to 10 wildfires totaling 69 acres. For more information, visit www.michigan.gov/preventwildfires. To check if burn permits are being issued in your area, visit www.michigan.gov/burnpermit. What’s “bugging” you in our streams? 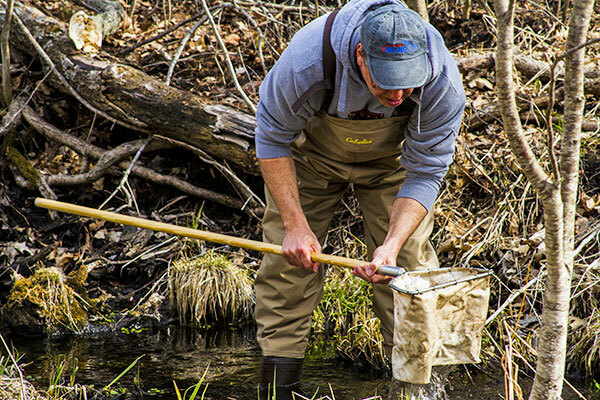 In many cases we think bugs are a nuisance, but bugs in a stream can be very useful. Stream insects are a good measure of water quality. Unlike fish, stream insects cannot move around much so they are less able to escape the effects of sediment and other pollutants that diminish water quality. Stream insects can also be easily identified. 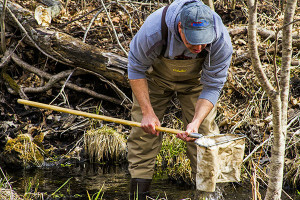 Trout Unlimited National, Cannon Township and Michigan Trout Unlimited will be holding a Stream Insect Monitoring Event on Saturday, May 2, 2015 from 9:00 a.m. – 1:00 p.m. at the Rockford Community Cabin – 220 North Monroe Street in Rockford. Volunteers will be assigned to a monitoring group with a team leader. Each group will collect and identify insects from different stream sites in the Rogue River and Bear Creek watersheds. You don’t need any experience with stream insects to participate and all ages are welcome. What will you need? Please RSVP to Nichol De Mol at 231-557-6362 or ndemol@tu.org if you would like to attend. Lunch will be provided for all volunteers. Please bring waders if you have them and dress for the weather conditions. Important Bird Areas are surveyed and designated specifically for their importance for bird species survival. Birders visit some of these areas regularly to see many of the 233 bird species that breed in Michigan, and the areas are inventoried to identify habitats essential for bird preservation. About 115 species that do not breed in Michigan use the areas during spring and fall migration or as winter residence. As winter was drawing to close, a couple friends and I visited the Muskegon River Channel outlet into Lake Michigan. About 85 percent of Lake Michigan was ice covered in early March, forcing waterfowl to limited open water. Winter a year ago was tough and our visit was both enjoyable and sad. We saw many ducks that normally stay away from shore, in close view. Ice cover forced large numbers into small areas, where many starved, before ice breakup provided additional feeding areas. Early March this year was more joyous. Infrequently seen birds were active and we did not see floating corpses of starved birds among them. Many birds were likely hungry and possibly experiencing malnutrition but ice breakup hopefully arrived in time for them to replenish reserves for migration. Lakes Erie, Huron, and Superior still had nearly complete ice cover and were still closed to feeding. Lakes Ontario and Lake Michigan opened in early March. We observed a Common Eider in the Muskegon river channel. It might be the only eider I see this year. Most eiders winter along ocean coasts but some winter in the Great Lakes before returning to breed in the arctic. The eider seems oblivious to us. Shelled mussels at the bottom of rivers and open water drive feeding behavior. The bird does not comprehend how our presence is important for improving or eliminating survival of their food survival. Many people do not understand how environmental stewardship behavior determines long-term survival for us, eiders and other species. Many organizations work to maintain healthy habitats essential for people and other species. Michigan and National Audubon Society support inventory of critical habitats of importance for bird breeding, migration, and winter residence survival. Local Audubon chapters provide bird watching field trips, programs, and members preserve bird nature niches. Google Michigan Audubon to find local chapters for monthly programs and field trips. Spring migration has begun. Take the family outside to enjoy wondrous-feathered visitors passing northward on stops in important bird areas to refuel. Species of excitement in the Muskegon River Channel were Black Scoters, White-winged Scoters, and Long-tailed Ducks. Other ducks rounded out our visit. We observed head banging behavior of male Common Goldeneyes. Males throw their heads on their back and bring them forward to impress the ladies somewhat like head-banging antics of some music groups and dancers. Field guides help identify these dark headed ducks with a white check patch. The females have reddish-feathered head beauty. We found Tundra Swans in a nearby area. Horned Larks were performing breeding displays in open fields and where females will be incubating eggs. I have found lark nests in March, when snow is still on the ground. Hopefully larks will fledge young before farmers till fields. We found Glaucous Gulls and Common Redpoles. Meteorologists predicted we are free from extreme cold until November. Lengthening days, ice breakup, and warmer air signals birds to migrate north to important bird habitats for this year’s breeding. Critically “Important Bird Areas” have been identified for bird biodiversity preservation in local and distant areas. Many areas will not be visited by people but birds produced in them will visit human population centers. If preserved in abundance, birds will provide opportunities for millions of people that support preservation to see them and for duck hunters that spend millions to preserve habitats to have sustainable fare on the winter dinner table. Preservation of Important Bird Area habitats will sustain our natural heritage for the present and future. Natural history questions or topic suggestions can be directed to Ranger Steve (Mueller) at odybrook@chartermi.net Ody Brook, 13010 Northland Dr, Cedar Springs, MI 49319-8433 or call 616-696-1753. Researchers are optimistic that new study pinpointing some of the reasons kidney disease progresses to kidney failure in children could eventually keep many kids off dialysis and transplant lists. Photo credit: Irvin Calicut/Wikimedia Commons. New hope is on the horizon for children suffering from chronic kidney disease, thanks to the results of a study that, for the first time, identifies some of the factors that can lead to kidney failure. Dr. Bradley Warady was the co-principal investigator on the study, which looked at nearly 500 children with chronic kidney disease over 10 years. Warady says many people don’t realize that kidney disease can have a profound effect on a child’s growth and development. 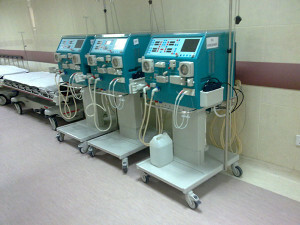 Warady adds the risk factors investigators uncovered, including high blood pressure anemia, and protein loss, are treatable, and the hope is that addressing those issues will keep kidney disease from progressing so that children can avoid having to go through dialysis or even transplants. Warady points out chronic kidney disease is not as common in children as it is in adults, but it can be much more challenging to treat. He says the good news is that many of the underlying issues investigators uncovered can be successfully managed. “If we can do that, maybe, I can’t say for sure yet, but maybe we have a chance of altering the progression or the worsening of chronic kidney disease,” he says. The study, which was funded by the National Institutes of Health, is published in National Kidney Foundation’s American Journal of Kidney Diseases. For the first time, the entire week of March 22-28, 2015 has been proclaimed Lynch Syndrome Hereditary Cancer Awareness Week by Gov. Rick Snyder and the Michigan Department of Community Health (MDCH) to promote the importance of Lynch Syndrome (LS) screening for newly-diagnosed colorectal cancer patients and their families. Lynch syndrome, also known as hereditary nonpolyposis colorectal cancer (HNPCC), is an inherited disorder associated with higher risks of developing colorectal, endometrial, ovarian, pancreatic, and other types of cancer. Approximately 1 in every 35 colorectal cancer patients has LS. First-degree relatives of LS patients have a 50 percent risk of having the condition as well. The efforts to increase LS awareness in Michigan are supported by a newly-awarded cooperative agreement between MDCH and the Centers for Disease Control and Prevention (CDC). The five-year project expands existing state resources to advance partnerships, work with policymakers, and educate health providers and the public about LS and genetic screening, with the ultimate goal of reducing overall cancer death rates in the state. Genetic testing for LS helps determine whether a patient’s colorectal cancer is inherited and whether family members have a higher risk of developing LS-associated cancers. Having this knowledge is the first step in early intervention and cancer prevention measures that could protect the health of at-risk relatives. Based on national evidence-based recommendations, LS screening should be considered for Michigan patients who are newly-diagnosed with colorectal cancer, for the benefit of family members. In addition, Michigan residents are encouraged to discuss their family health history with their healthcare providers to assess if they are at risk for hereditary cancer conditions such as Lynch syndrome. For more information about Lynch syndrome or hereditary cancer, visit http://www.cdc.gov/Features/LynchSyndrome or www.lynchcancers.org. The MCGA maintains a list of Michigan clinics that provide cancer genetic counseling and test coordination. To see the directory, visit https://migrc.org/Library/MCGA/MCGADirectory.html. From the Kent County Health Dept. We all want what is best for our children. We live in the richest country in the world. So why does child well-being in the U.S. rank 26 out of 29 rich countries? Why do we as a country allow our most vulnerable children to fall so much further behind? The Kent County Health Department is teaming up with Strong Beginnings, First Steps, Great Start Collaborative, Family Futures, Healthy Kent, K-Connect, Early Learning Neighborhood Collaborative, MomsBloom, and I Believe, I Become/Baby Scholars, in an effort to educate the public about the challenges of raising children in our diverse community. We are planning two screenings of “Raising of America,” a documentary that explores how a strong start for all our kids leads not only to better individual learning, earning, and mental and physical health, but also to a healthier, safer, better educated, more prosperous, and more equitable America. Raising of America is an hour-long episode that “interweaves the latest discoveries from neuroscience with the stories of families and communities doing all they can to provide the nurturing environments all babies and young children need to thrive.” The documentary examines how social conditions affect childhood development. Join us for the Raising of America Screening and Community Conversation on Thursday, April 16, 2015, at 11:30 a.m.-1:30 p.m., and 6:30 p.m.-8:30 p.m. at Celebration! Cinema South, 1506 Eastport Dr. SE, Grand Rapids, MI 49508. Register for the screening and conversation going to www.eventbrite.com and searching for Raising of America. Learn more about the documentary series at www.raisingofamerica.org. Opening the Flat River Community Players’ 41st season is a funny, touching story about the bonds between friends. The Dixie Swim Club is by the writing team of Jessie Jones, Nicholas Hope, and Jamie Wooten. The Players produced their comedy, Dearly Beloved, in 2012. Opening at the Greenville Area Community Center, on April 17, Dixie follows five feisty gals who met years ago while members of their college swim team. They gather for a reunion at the same cottage every year and catch up on each other’s highs and lows of life. The play is kind of a mix of the heart-warming southern charm of Steel Magnolias and the sassy, fast-paced zingers of The Golden Girls. These ladies will make you laugh, inspire you, and send you home to hug your loved ones. The FRCP production stars Patty Rockafellow as Jeri Neal McFeeley. She also has performed in the FRCP musicals Seussical, The Great American Trailer Park, and A Funny Thing Happened On The Way To The Forum. Veteran Player Jessica Gilbertson takes on the role of Dinah Grayson. She was last seen as Nurse Ratchet in One Flew Over The Cuckoo’s Nest. Also the group’s head costumer, Jessica sees this show as a rare chance to get onstage. “I can get away without having to build many costumes from scratch,” she explains. Roxanne Hutchinson joins the cast to play Vernadette Simms. This will be Roxanne’s first time onstage since junior high school. She was inspired to get involved after her grandson appeared in a middle school play. Donita Coughlin returns to the FRCP stage after a four-year absence, to play Sheree Hollinger. She also performed in Cinderella, Nunsense, The Laramie Project, A Grand Night For Singing, And Sight Unseen. Becky Tower will play the role of Lexie Richards. Her past FRCP productions include Dearly Beloved And Escanaba In Love. She’s also appeared in a few dinner/theater plays at the Community Center. Lyle Fales is directing, assisted by Denise Webb. 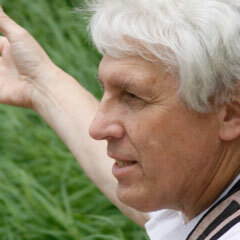 Fales previously directed Dearly Departed, All My Sons, Escanaba In Da Moonlight, Eleemosynary. Hilda Sorvari is the show’s producer. The Dixie Swim Club opens on April 17 with additional performances on April 18, 19 and 25, 26. All curtains are 7:30 PM except for the Sunday matinee on the 19th at 2:00 PM. Tickets are $13 adults, $11 students and senior citizens. Order tickets in advance with VISA or Mastercard, either online at www.flatriver.showclix.com or by using the ShowClix link at the Players’ website, www.frcp.org. Or call 1-888-71-TICKETS. Tickets will also be available at the door. Fatherhood is full of excitement and joy… but it also has its share of challenges. Healthy Kent’s Dads Count! is hoping to make being a dad a little less stressful, by offering a special educational event on Saturday, April 18, 2015. The Focus on Fathers Fatherhood Conference will offer various topics for reinforcing positive involvement of fathers in the lives of their children. Dads Count! is made up of multiple agencies in Kent County whose mission is to bring awareness on the importance of fathers and the crucial role fathers play in the raising of the next generations. The conference will be held at The Salvation Army’s Kroc Community Center on Saturday, April 18 from 8:30 a.m. to 2 p.m. The cost is $20 per person, which includes a light breakfast, hot lunch and the workshops. There will be several information booths from various programs in the community and door prizes will be provided to those who visit the booths. If you are interested in attending the event, go to www.eventbrite.com and search for 2nd Annual Dads Count. You can also contact Aaron.Toffoli@kentcountymi.gov or call 616.632.7295 for more information. As a new bride, Aunt Edna moved into the small home on her husband’s ranch. She put a shoebox on a shelf in her closet and asked her husband never to touch it. For 50 years Uncle Jack left the box alone, until Aunt Edna was old and dying. One day when he was putting their affairs in order, he found the box again and thought it might hold something important. Uncle Jack was very touched that in 50 years she’d only been mad at him twice. “What’s the $82,500 for?” he asked.